If Cuphead passed you by on Xbox, then you missed out on one of the best releases of 2017. It’s a gorgeous, intensely challenging run and gun platformer in the vein of Contra, which is wonderfully at odds with the game’s charming 1930’s animation aesthetic. *I don’t know if the kids do still say rad, but let’s assume that they do. The arrival of Cuphead on Switch is absolutely massive news, and not just because the continued romance between Microsoft and Nintendo has me entirely convinced that Scalebound will be coming back as a Switch exclusive before the end of 2020. Don’t @ me. What really has me yanking my hair out in excitement over Cuphead coming to Switch is that since the game was announced, I’ve firmly believed it’s exactly the kind of title that belongs on Nintendo’s console. I don’t say that to take anything away from Xbox, but the world, design, and gameplay of Cuphead just feels at home on Nintendo Switch. 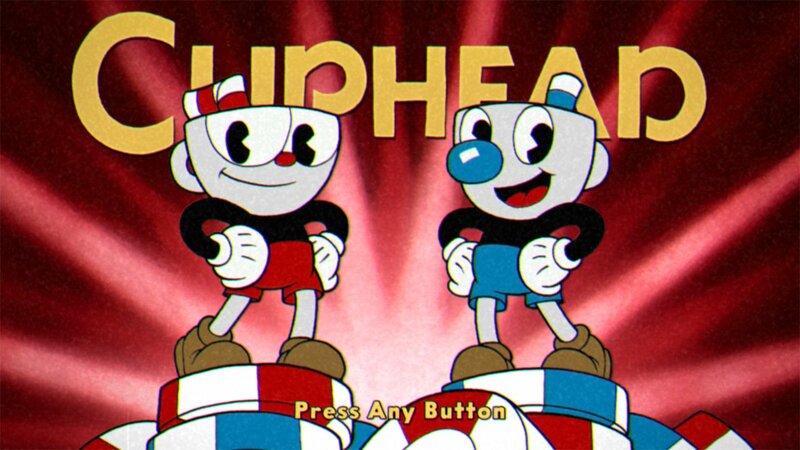 I mean, just look at the promotional image below of Cuphead and Mugman busting out of a Switch and tell me it doesn’t look right to you. 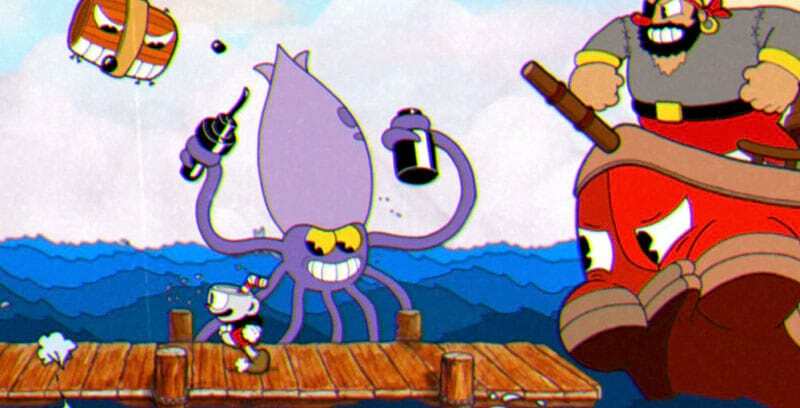 Cuphead is, as you’ve probably heard from other reviewers or friends (if you have any, which I don’t), an incredibly challenging game that’s made up of short run and gun levels, and detailed, multi-stage boss battles. From a gameplay standpoint, Cuphead is absolutely a pick up and play game. When you know what you’re doing in it, a boss or level can take a few minutes at most, but the Switch’s portable nature means that you can load up Cuphead at any point for a quick attempt at a section you’re stuck on. If you can’t quite manage it in the 10 minutes you have, that’s not a problem. You can simply turn your Switch back on on the train ride home/your lunch break/the next time you sneak off to the loo, and try again. As I’ve found with the excellent Dark Souls port on Switch, there’s something a lot less irritating and stressful about dying over and over again in a game when the amount of time you have to play said game isn’t tied to a fixed location – especially if the time you have with a home console is actually hugely limited, which makes knowingly difficult games a massive turn-off. Knowing you can take a break and resume whenever you feel like it is actually a wonderful concept that really takes the sting out of losing, and means the Switch is a great fit for a game like Cuphead. 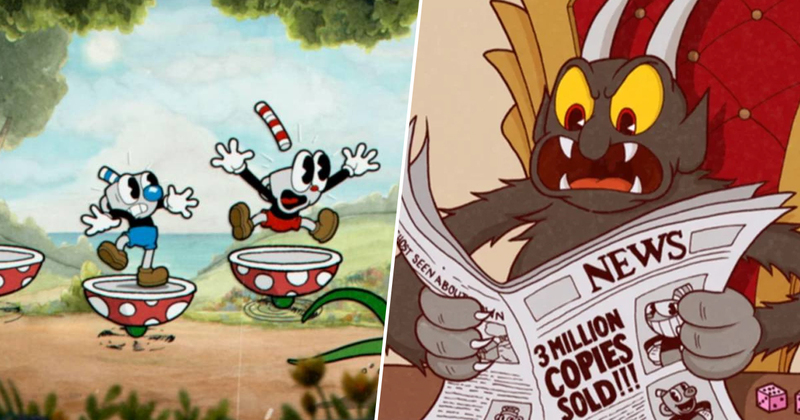 Beyond that, I’ve always felt Cuphead gives off a real Nintendo vibe. The tight level design, creative boss battles, and colourful worlds recall a lot of Nintendo’s earlier work, particularly the NES days. I’m honestly surprised the house of Mario has never made a game with a similar artstyle, considering how experimental it tends to be with its franchises. I also believe you could throw Cuphead and Mugman into a lineup alongside Mario, Luigi, Link, Kirby, and the rest of Nintendo’s finest, and they genuinely wouldn’t look out of place. I’m actually hoping this release means Cuphead is one of the upcoming DLC characters in Super Smash Bros Ultimate, since I reckon he’d be a perfect fit for the mascot brawler. Finally, as you might have gathered, I’m very much of the opinion that Cuphead is one of the finest games of the past few years. If a multiplatform release helps more people than ever to enjoy its unique charms, then I’m all for that. It’s no secret that the Switch is quite a popular console right now – arguably much more popular than the Xbox One was when Cuphead came out. Its arrival on a Nintendo console could help it find a huge new audience, which also means a sequel is much more likely. Everyone wins, and by that I mean everyone will die a thousand deaths as they discover the rage inducing joys of a true masterpiece.